Glens Falls National Bank and Trust Co. announced the promotion of Leslie Munger to vice president, compliance manager. The bank also announced the promotion of Peter J. Lareau to executive vice president and corporate secretary. 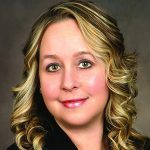 Lareau will also serve as corporate secretary for the bank’s parent company, Arrow Financial Corp.
Also, Katie-Jo Mohamed Ali was appointed the new branch manager in Salem. In Munger’s new role, the Bank Secrecy Act, Anti-Money Laundering (BSA/AML) and fraud and physical security functions will report directly to her. She will also facilitate compliance initiatives across the company. Munger has been with the bank since 2007. She was promoted to assistant vice president, compliance professional in 2010. She attended SUNY New Paltz and SUNY Adirondack. She holds American Institute of Banking diplomas for general banking, consumer credit and commercial lending. 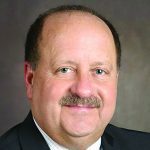 In addition to his expanded role as corporate secretary, Lareau also serves as chief risk officer for Arrow and its subsidiary banks. Lareau joined the bank in 1982 as a management trainee. He most recently served as senior vice president of compliance, human resources and training. Active in the community, Lareau is president of the Warren-Washington Association of Mental Health board of directors as well as a member of the Glens Falls Lions Club. He has a bachelor’s degree in business administration from the University of Vermont, and attended the American Bankers Association Undergraduate and Graduate Compliance Schools at the University of Oklahoma. He is also a graduate of the 1993 Adirondack Regional Chamber of Commerce Leadership Development Program. As branch manager, Mohamed Ali will oversee business development and day-to-day operations. She will also connect with business partners to offer the full spectrum of bank services. She has more than eight years of experience working as a branch manager for other local banks. She is the current chair of the Women in Business Committee for the Southern Saratoga Chamber of Commerce. 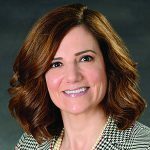 The Adirondack Trust Co. has hired Leslie D’Angelico of Queensbury as senior vice president, director of retail banking. NBT Bank announced that Marc Monahan has been promoted to Glens Falls market executive and will lead NBT’s commercial banking team in the Glens Falls region. Monahan earned a bachelor’s degree in business administration from SUNY Oswego. He is a board member of the Adirondack Regional Chamber of Commerce, member of the Adirondack Civic Center Coalition Board, president of the Glen Falls Civic Center Foundation and a member of the Glen Falls Hospital Foundation Board. Brittany Rodrigues recently joined AJA Architecture and Planning staff as an administrative assistant at the Glens Falls-based design firm. Rodrigues assists the office with a multitude of tasks, including the management of accounts receivables/payables, as well as managing the firm’s social media platforms, and assisting with graphic design. She is a resident of Lake George and has a Bachelor of Arts degree from the State University of New York at Oswego in graphic design, with a double minor in art history and athletic coaching. Hudson Headwaters Health Network, a nonprofit health system of 18 community health centers in upstate New York, hired Amy Bloom, as executive vice president of network strategy. Bloom will work with the health center operations and leadership team to develop and direct the implementation of the organization’s strategic plan. She will also lead the marketing and communications efforts of the organization and assist the leadership team with special projects. 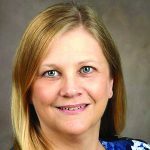 Bloom comes to Hudson Headwaters with 18 years of healthcare and nonprofit experience, most recently working at Alliance for Better Health where she served as chief operating officer. Prior to her work at Alliance, she served as the senior director of special projects at Planned Parenthood Mohawk Hudson where she oversaw a capital campaign to purchase and renovate a new health center in Glens Falls. Bloom graduated from West Virginia University where she received her Master of Public Health degree, with a focus on bioethics and social epidemiology. She has worked in a variety of health care and nonprofit settings in the Capital Region, Boston, and Washington D.C.
Paltrowitz is the managing principal of Bartlett, Pontiff, Stewart & Rhodes PC. His primary practice areas are labor law, education law, municipal law & finance, nonprofit law and corporate law. Paltrowitz provides legal services to numerous public and private sector employers, nonprofit corporations, including Community Action agencies and Head Start programs, and professional practices. Wright CPA is the chief financial officer at Adirondack Health Institute, an independent, nonprofit organization supporting hospitals, physician practices, behavioral health providers, community-based organizations, patients and others in our region to transform health care and improve population health. She has leadership responsibility for building and managing effective and streamlined administrative and financial systems. Wright oversees finance, accounting, budgeting, contracts, human resources, and other operational areas. Blood is chief of geriatrics and palliative care at Hudson Headwaters Health Network. HHHN is a nonprofit system of 17 community health centers providing primary care to more than 5,600 square miles of the Adirondack North Country and Glens Falls region. The network serves all of Warren County and parts of Clinton, Essex, Hamilton, Saratoga and Washington counties. Blood earned her A.B. at Harvard-Radcliffe, M.D. from the University Of Vermont College Of Medicine, and a master’s degree in public health from Boston University School of Public Health. Other members of the Fort Hudson board of directors include Dr. Dean Reali (president), Kevin Hayes (vice president), Gretchen Steffan (secretary), Robert Miles (treasurer), John Brodt, Carmen Della Bella, Joan Grishkot, Keith Laake, Chris Nelson and Tori Riley.